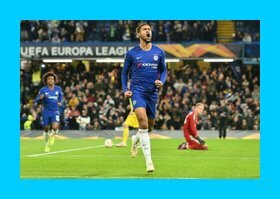 Paris (AFP) - Ruben Loftus-Cheek capitalised on a rare start for Chelsea by scoring a hat-trick in Thursday’s 3-1 Europa League victory over BATE of Belarus, while Arsenal extended their winning run to 11 games away to Sporting Lisbon. Loftus-Cheek, part of England’s World Cup squad in Russia, started for just the second time this season under Maurizio Sarri and struck twice inside the opening eight minutes as Chelsea dominated at Stamford Bridge. “It feels really good,” Loftus Cheek told BT Sport after he became the first Chelsea player to score a hat-trick in Europe since Didier Drogba 12 years ago. “It’s up there, it’s my first hat-trick in a while, even since playing for the youth team. It feels nice. Three wins from three in Group L have Chelsea poised to reach the last 32 of the competition, with Unai Emery’s Arsenal set to join them following a 1-0 victory in Portugal. 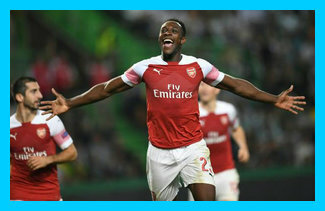 Danny Welbeck pounced on a defensive lapse by former Liverpool defender Sebastian Coates on 78 minutes to keep Arsenal on maximum points in Group E and prolong the club’s best run since 2007. Seven-time European champions AC Milan crashed to a 2-1 home defeat by Real Betis as Gennaro Gattuso’s team dropped their first points in Group F.
Steven Gerrard’s Rangers remain unbeaten in Group G but were left frustrated after a 0-0 draw against an understrength Spartak Moscow, who left a number of first-choice players behind in Russia. “We are making huge strides from where we were,” said Gerrard. 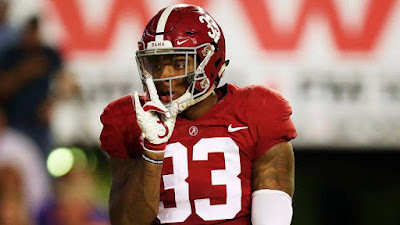 “We came close but it wasn’t to be. It could be a valuable point at the end of the day. Last season’s runners-up Marseille are in danger of an early exit after losing 3-1 at home to Lazio, while five-time champions Sevilla thrashed Turkish club Akhisar 6-0.